Quality card, this is a scarce Chicago Maroons player. 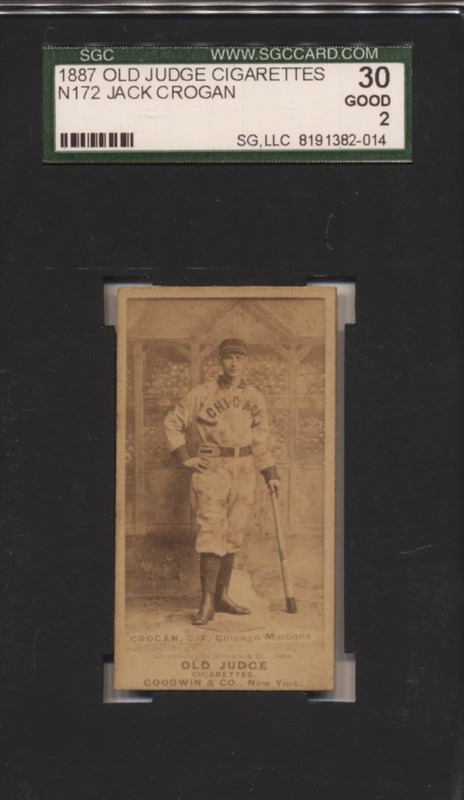 This card has a wonderful image of Crogan standing against a stadium background, leaning on his bat. The image quality is nice, this is a card we hardly ever see. There are no creases, an erased owner name on the otherwise clean back led to the 2 grade.